Author: Taylor, Kate Set In . . . Description: At the height of the Belle Epoque, François Dubon leads a well-ordered life in the bourgeois quarters of Paris’ eighth arrondissement. When not busy with his prosperous legal practice, he enjoys both a contented marriage to his aristocratic wife, Geneviève, and satisfying afternoon encounters with his mistress, Madeleine. He is never late for those five o’clock appointments nor for family dinner at seven—until a mysterious widow comes to his office with an unusual request. The lady insists that only Dubon can save her innocent friend, an Army captain named Dreyfus who was convicted of spying and exiled to Devil’s Island two years earlier. Not wishing to disappoint the alluring widow, the gallant Dubon makes some perfunctory inquiries. But when he discovers the existence of a secret military file withheld from the defense during the trial, he embarks on an obsessive pursuit of justice that upends his complacent life. Donning a borrowed military uniform, Dubon goes undercover into the murky world of counterespionage, where his erratic hours alarm his forbidding wife and make his mistress increasingly aloof. As the layers of deceit and double crosses mount, Dubon’s quixotic quest leads him into the heart of a dark conspiracy—one that endangers his own life and threatens to throw France herself into turmoil. 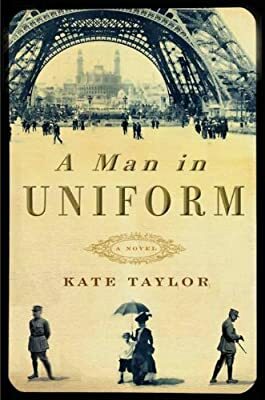 Based on the infamous Dreyfus Affair and enriched with a generous dose of classic noir, A Man in Uniform is a gripping and seductive mystery set against the gilded years of late nineteenth-century Paris.